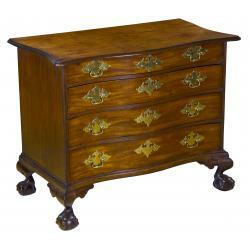 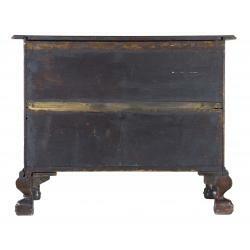 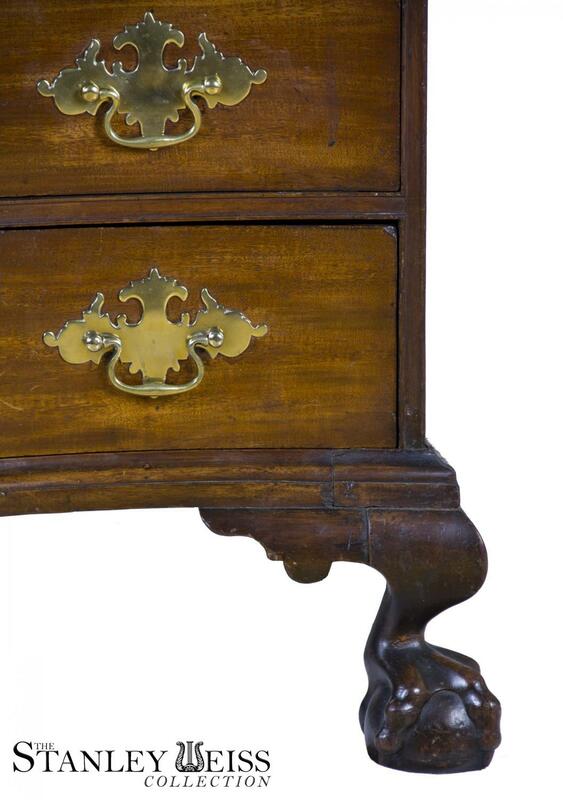 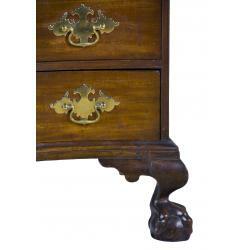 This is a most impressive piece, the best of what came out of Boston in the last quarter of the 18th century. 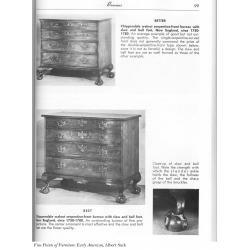 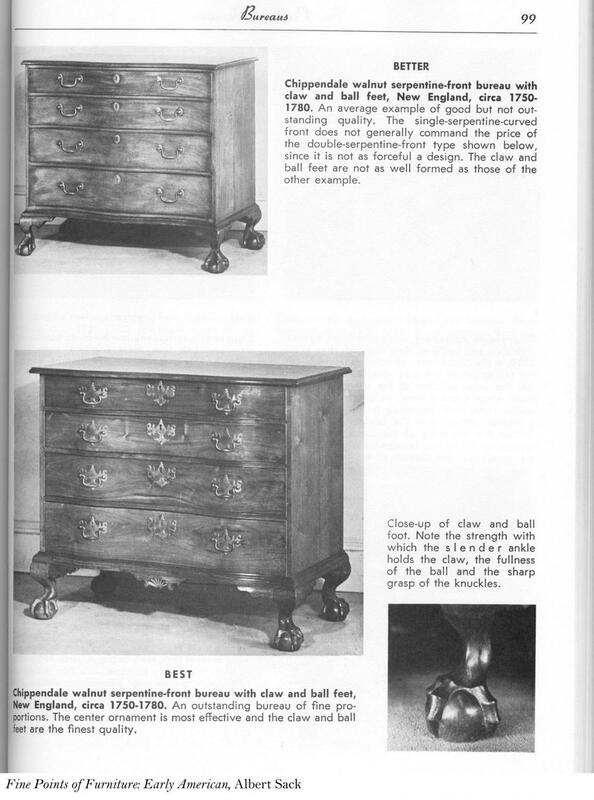 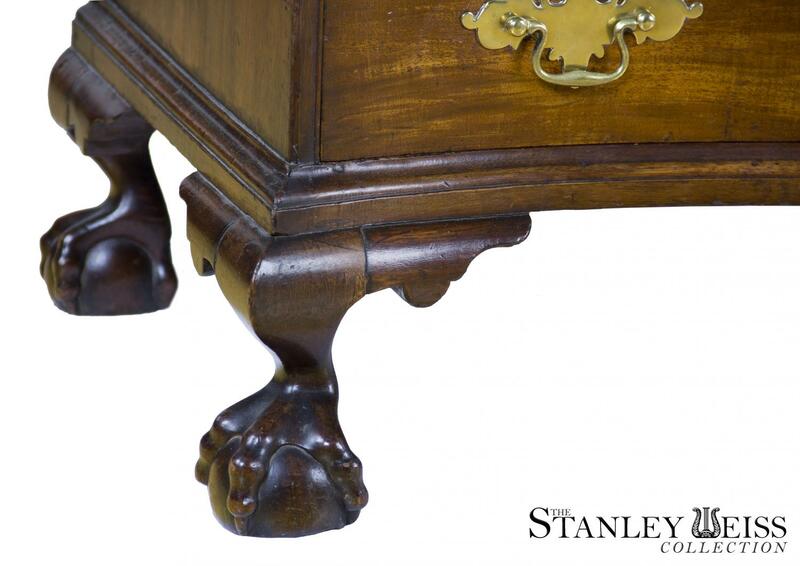 It is exceptional in the proportion of the elegant serpentine aristocratic form of its drawers, to the bold claw and ball feet on well defined legs. 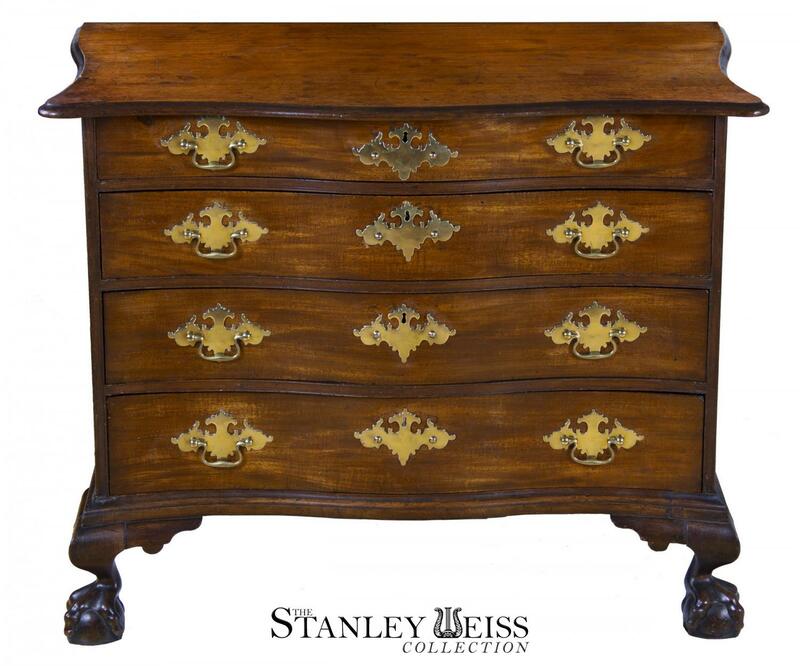 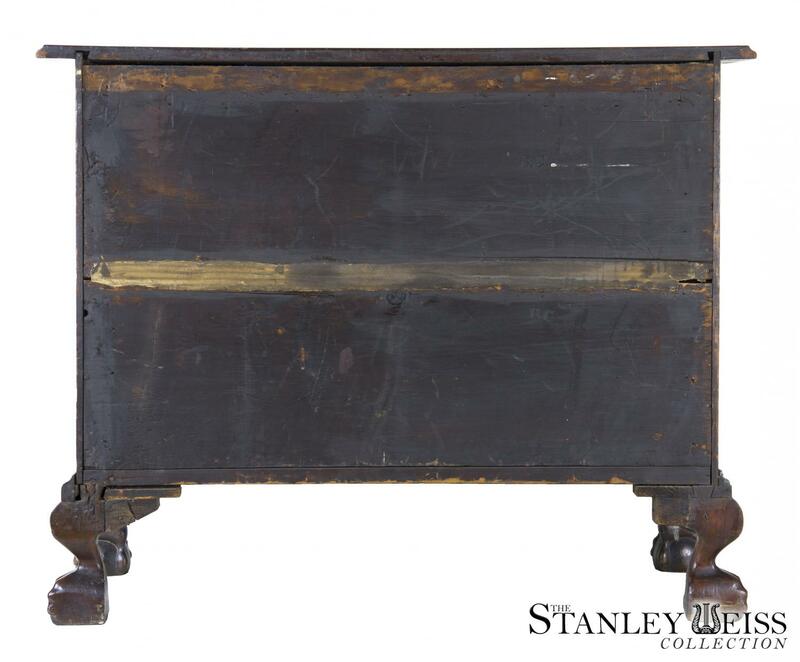 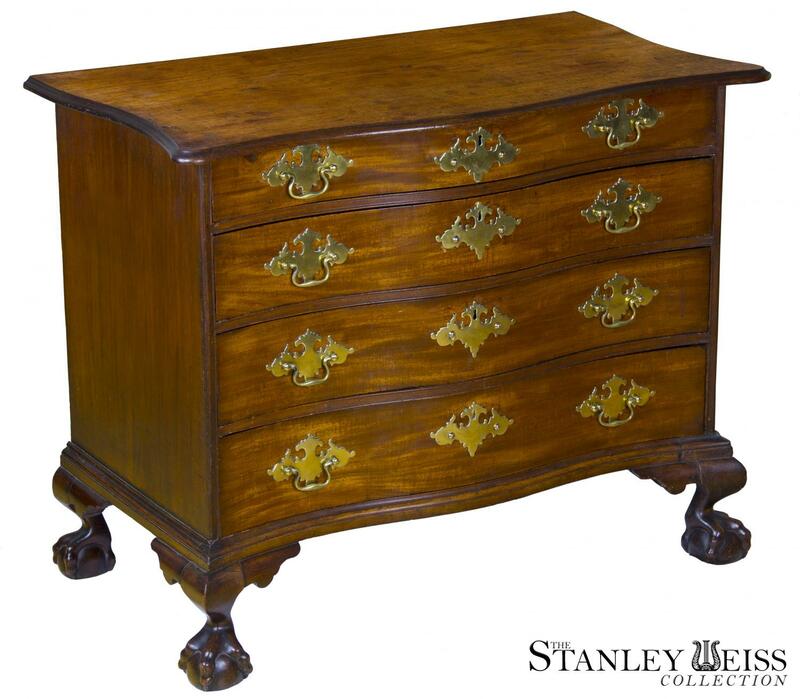 As such, the legs give this chest a lively, sprung look which is balanced by a top with a generous overhang, all of which gives this chest a very gracious look in a rather compact 36 in wide case. 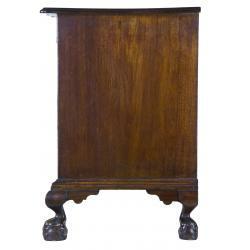 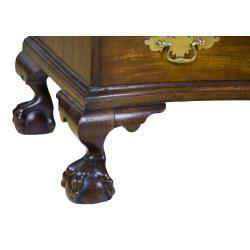 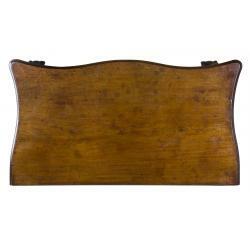 The mahogany is a beautiful muted tone with a dry historic surface. This piece was first handled in 1980 by Ron Bourgeault and descended in the Cheney family of Connecticut, by descent to Vrylina Frothingham Olney. 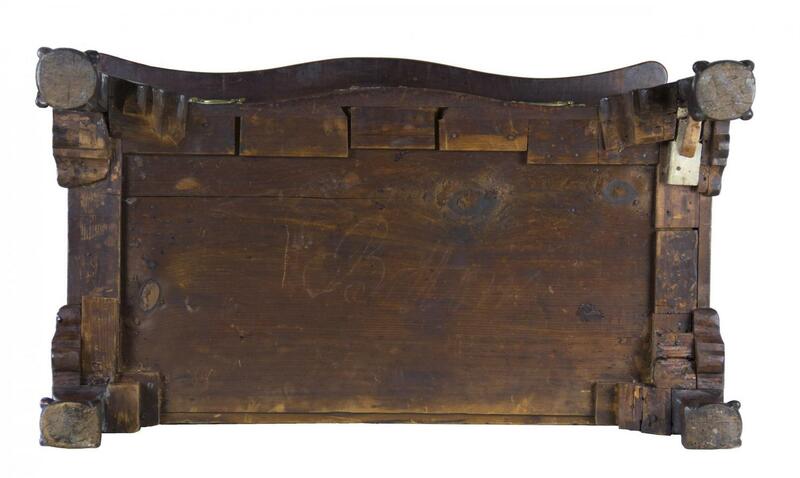 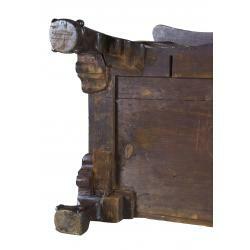 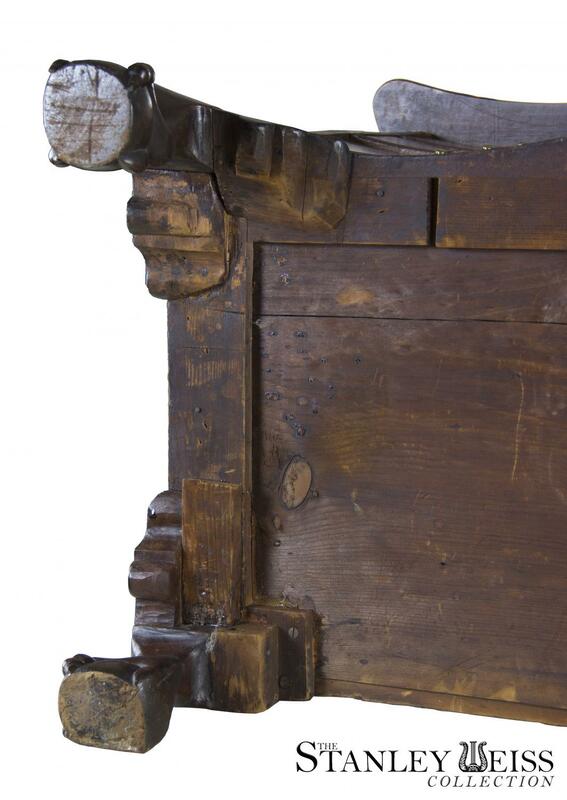 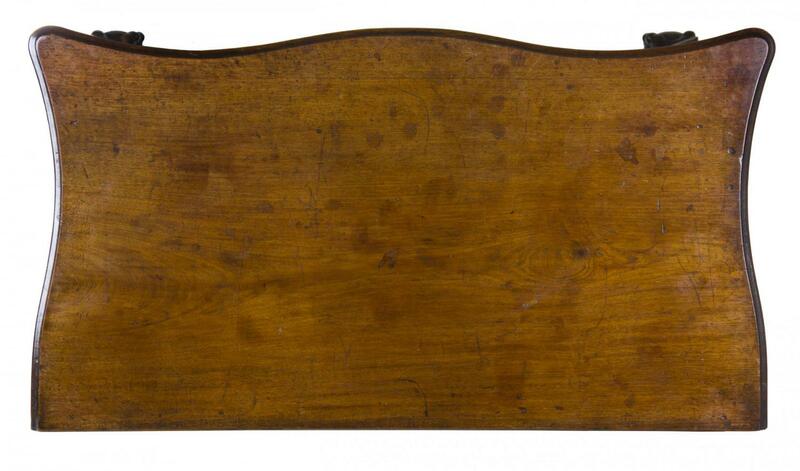 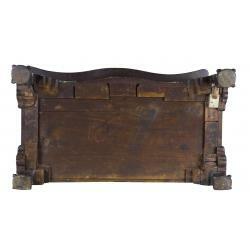 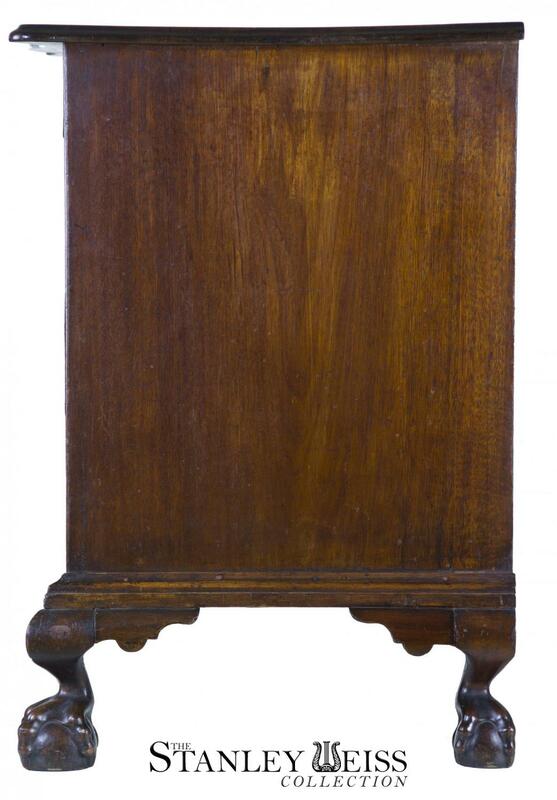 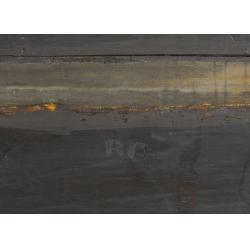 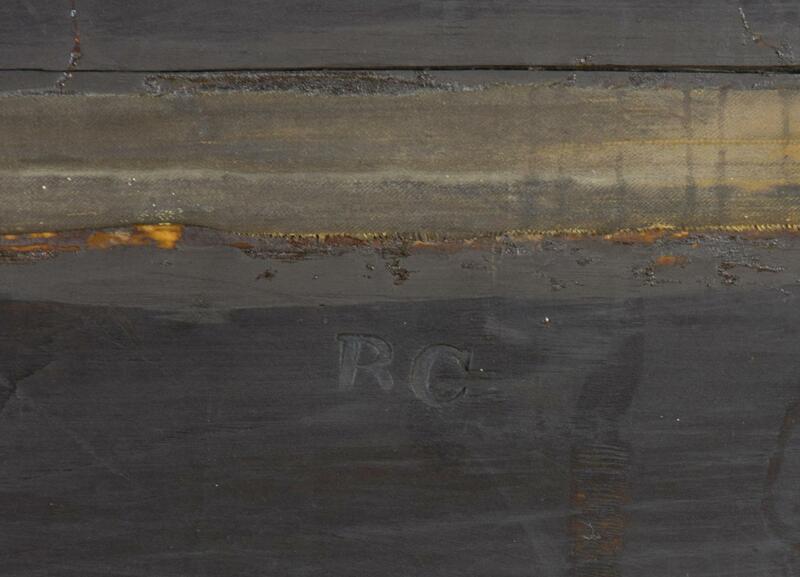 Further, it is stamped "RC", which may relate to a cabinetmaker who apprenticed in Benjamin Frothingham's shop.